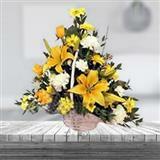 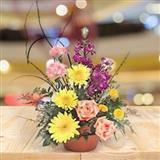 GiftsAcrossIndia.com arranges this Cheerful combination of Yellow Liliums, Carnations, Gladiolus, Roses and Seasonal daises freshy cut in a prim crepe with a satin bow in a medium size hand bouquet. 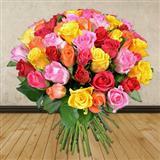 What a better way to say that how much the thought of yours brings a smile on my face missing you in every heartbeat. 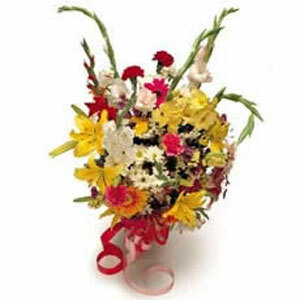 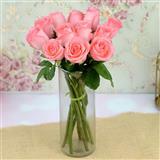 You can include other exclusive Gifts across India and delight your loved ones in all cities in India.